I am a Coffee lover. A couple of years back I wasn’t a huge fan of coffee. I would have it here and there but that was about it. I fell in love with it after I had my kids, YES that is when my love (and often need) for coffee grew fonder. I would find myself trying different roasts from different companies. I joined the twitter world this year and I was lucky enough to get introduced to eKoffee. There are a lot of online places that you can order your coffee from, but I oKoffee’s selection is fantastic. I had the pleasure of trying their Indian Monsoon which has been my favorite so far, with notes of heavy buttery butterscotch. Also Brazil Cerrado which has a nutty and chocolate tone. eKoffee is located in Colts Neck, NJ. Quality and freshness is tops, but value comes in a close second, which is great for us the purchaser. 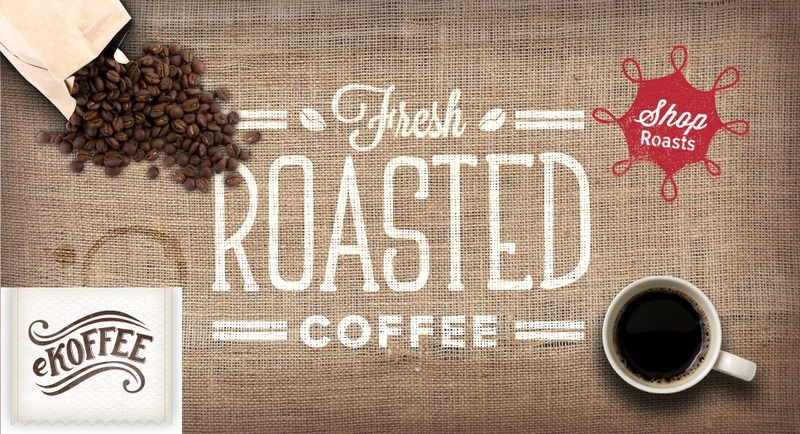 They quickly realized that the best roasts were not those with the added hype and costs of national brands. eKoffee found the best artisan coffee roasters from around the U.S. and made their single-origin coffee and blends available online for us. To find out more information on eKoffee or to purchase visit them at http://www.ekoffee.com/ you will not be disapponited. Also here is a PROMO CODE: HOMEMADEDELISH (all caps) that can be used until July 5th for 10% off on your purchase. But now to the fun part the GIVEAWAY, I will be choosing 3 WINNERS that will be able to choose from 12oz or 16oz coffee. All you have to do to enter, is leave a comment at one or more of the following Homemade Delish social pages, or this site. Good luck everyone. 1. Join Homemade Delish and eKoffee on Facebook. Leave a separate comment letting us know you did so. 2. Follow @homemadedelish and @eKoffee on Twitter. Leave a separate comment letting us know you are following if you havent already. 3. Subscribe to Homemade Delish via email. Leave a separate comment letting us know you subscribe via email. If you havent already. The giveaway is open until Friday July 5th, at 11:59 p.m. Eastern time. The giveaway is only open to USA residents. Be sure a valid email address is included with your comment(s). Winner will be chosen randomly and announced on this post. We will email the winner and if the winner doesn’t respond in 24 hours, a new winner will be chosen. Product will be shipped by eKoffee. Good luck! Disclosure: This giveaway is being provided by eKoffee, but the opinions are my own. I never really felt the coffee fascination until moving to the Pacific Northwest. There are great roasters out here as well… we’re always open to trying new beans, though! I am an email subscriber 🙂 great giveaway! I am an email subscriber ! great giveaway! I love coffee lately especially iced ! I follow both on facebook from babybumpbundle! thanks ! Nice! Love me some good coffee! I am following via email and Twitter. I “like” both Homemade Delish and eKoffee on Facebook. I’m a follower of both @HomemadeDelish and @eKoffee on Twitter. I’m an email subscriber to Homemade Delish, which is how I learned about this great giveaway. Thanks! Oooo, I’d love to try their Booskerdoo – “Staff Favorites” Sampler Bundle! I like you both on Facebook (FB name: Madeline Brubaker). I follow you both on Twitter (@shala_darkstone).